Every fortnight, we chat to an adventurer about their favourite place in the world - somewhere that makes them feel relaxed, rejuvenated, or just holds some great memories. 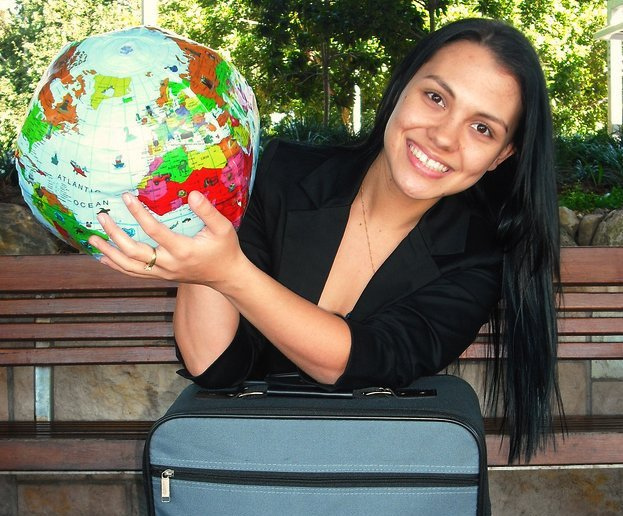 This week, we’re excited to talk to Danielle, an avid traveller and the blogger behind Stuff It...Go Travelling. Hi Danielle! Can you tell us a bit about yourself? I work as a communications professional in Sydney, Australia, but I’m also a travel blogger. I’ve spent the last decade exploring the world at every given chance, and have visited over 16 countries in my pursuit to find the top destinations to escape the rat race. My happy place is easily Hamilton Island in Far North Queensland, Australia. Located in the vicinity of one of the Seven Natural Wonders of the World, the Great Barrier Reef, this island is breathtakingly beautiful and suitable for all types of travellers seeking a tropical getaway. Hamilton Island is not only the largest and most popular of the Whitsunday Islands, there are 74 of them, but it’s also the most fun, in my opinion. Do you visit Hamilton Island often? I try to visit every couple of years, as it’s only a 2 to 2.5 hour flight from Brisbane and Sydney. There are numerous flights to and from the island every day, making it very accessible from Australia’s East Coast. The last time I was on Hamilton Island was 2012, so I’m definitely due another getaway. Prior to that trip, I stayed on the island in 2010 and 2007, and I’ve fallen even more in love with the place each time. It never gets old and I discover something new during with every visit. Hamilton Island is special to me as it’s my perfect getaway. It has everything I want in a travel destination – tranquilly, beauty, crystal clear waters, warm temperatures, friendly people and of course, being able to see and appreciate the incredible marine ecosystem that surrounds the island. Also, being less than three hours away by air adds to its appeal. It’s even more special to me, as data suggests the Great Barrier Reef is expected to disappear within 100 years. To have the opportunity to stay in the vicinity of such a rare wonder, that future generations may not see, is both sad and special. Hopefully, we can prevent this from happening. How do you usually spend your time there? My problem, when I visit Hamilton Island, is not being able to do everything I want to do, as the list of activities is never-ending. Can you give us some examples of island activities? Zipping around on a jet ski – I like to get my adrenaline running and there’s no way better than by jumping on a jet ski. 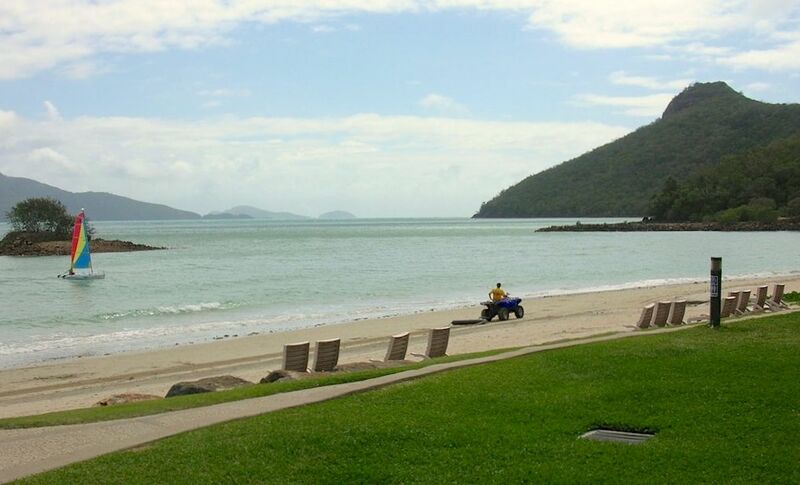 Running daily, the island offers one hour jet ski tours and your guide will take you around the island and to nearby spots, such as Hayman Island. 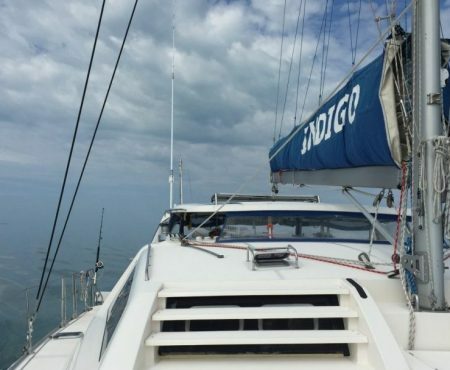 It’s an incredible way to see the region, and if you’re lucky, you might spot some active sea creatures frolicking in the Whitsunday waters. 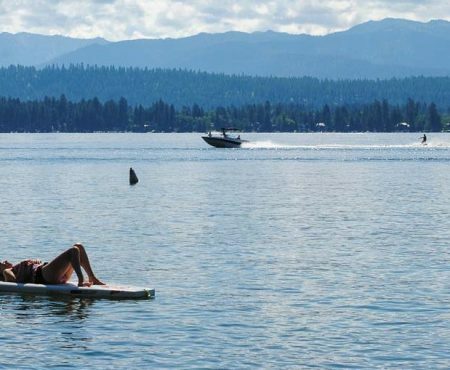 Whales are in the area from July to October. Also, no trip to Hamilton Island is complete without visiting the reef. One of the best ways I’ve found to do this is via a Reefworld trip. Departing daily, this full day outing takes you to the centre of the reef to explore its beauty and offers a range of underwater and above-water activities to enjoy. Once aboard the largest floating pontoon in Australia, at 86 metres long, it’s all systems go. The fun really begins when you go underwater, where you’ll see some of the most spectacular scenery on earth. You can do this a number of ways, such as cruising the snorkelling trails around the platform, joining a guided snorkelling tour, or going deeper and taking a scuba diving trip. If you prefer not to get wet, there’s also a semi-submersible and underwater observatory. All of these options will get you close to the numerous tropical fish and marine animals that call this ecosystem home. Additional activities are also available, including scenic helicopter flights and luxurious massages. One of the first things I do when I arrive is hire a golf buggy. 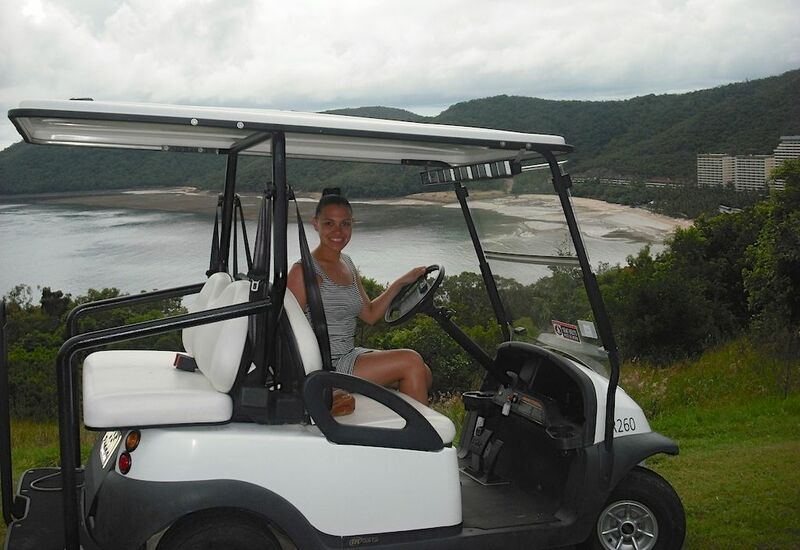 As Hamilton Island is a car-free zone for tourists, the only way to freely get around is by golf buggy. It’s so much fun. 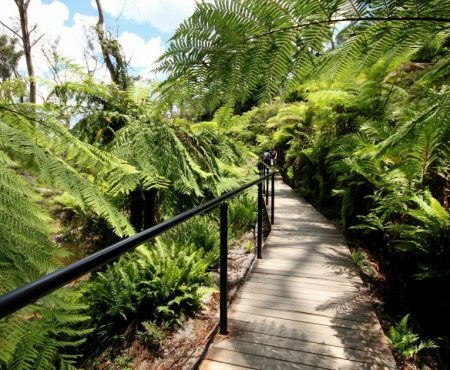 It also gives you the chance to explore the island at your own pace and to visit lookout points, such as One Tree Hill. Great advice. Do you ever slow down while you’re there? Sometimes the simplest of things, such as relaxing, sipping a cocktail and soaking up the sea views are the best holiday activities. Each time I visit Hamilton, I spend countless hours lying by the pool and beach and ordering cocktails. There are lots of resort pools on the island. 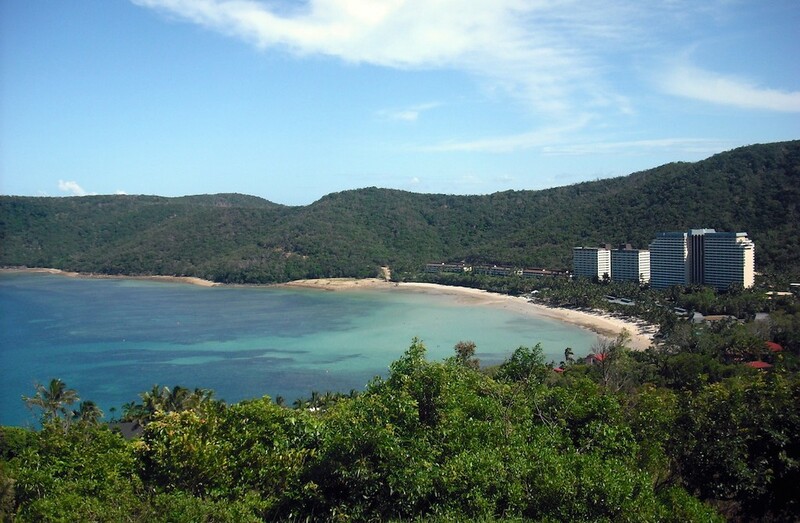 All of them have gorgeous views of Catseye Beach or the Whitsundays. A few of them have bars, which is a bonus, because who wants to walk to the bar when you can swim to it, right? Since your first visit, have you noticed any changes on the Hamilton? Since my first visit in 2007, the island hasn’t changed too much, which is great. The only noticeable change is the few new properties on Resort Drive, on the Catseye Beach side of the island. Qualia, a world-class resort, has also opened up. Can you describe Hamilton Island for us in just one sentence? 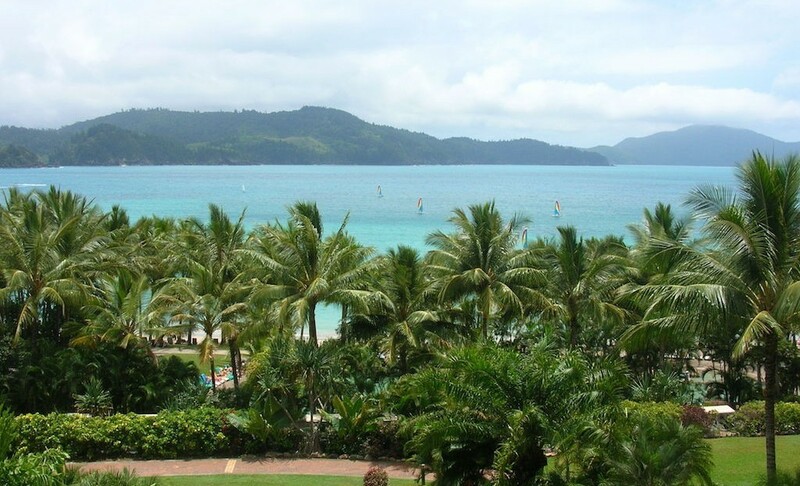 Hamilton Island is a tropical oasis situated in the Great Barrier Reef. But be warned – once you step foot on the island, its beauty will captivate you, making it hard to leave. You can follow Danielle’s adventures on her blog or on Twitter.